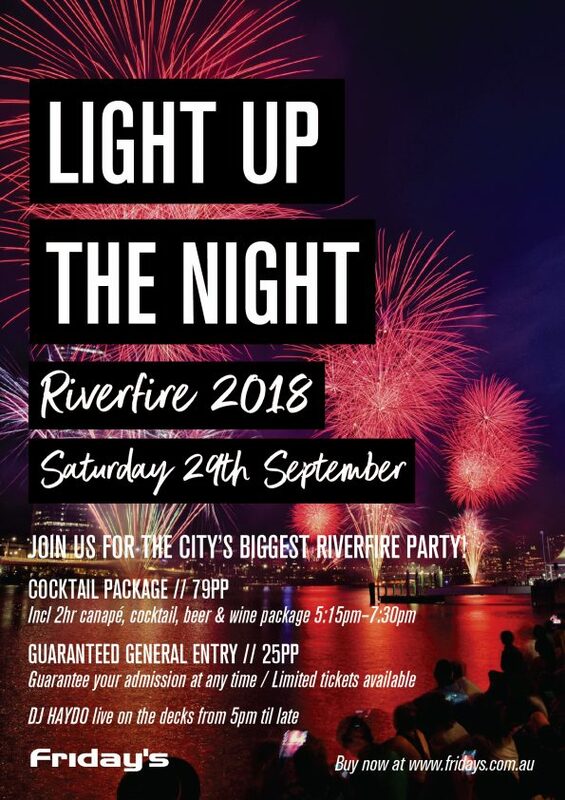 Join us for the city’s biggest Riverfire party! One of the best spots in the city to watch the fireworks! Get down to Eagle Street Pier & watch it all from our riverside terrace!